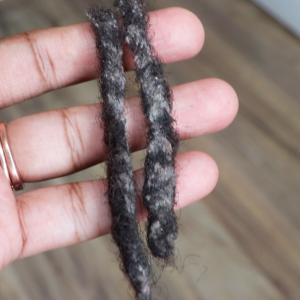 Interlocking is a great technique for starting and maintaining your locs, especially if you have fine hair or an active lifestyle. However, it is quite common to hear opposition to interlocking for reasons of thinning locs, lumps in locs, and/or breakage. 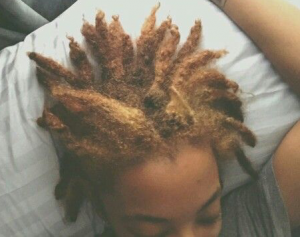 While these issues do occur with locs, the cause is not due to interlocking but rather incorrect technique and the wrong tools for interlocking. The proper tools for interlocking are sized appropriately for your locs and do not snag the hair, which can lead to thinning. 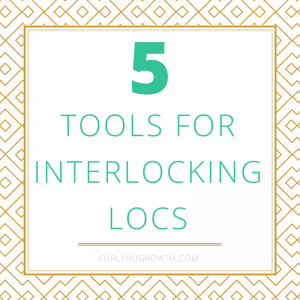 There are 5 tools that can safely be used for interlocking— one of which is NOT a latch hook. You should never use a latch hook for interlocking because the sharp design of the hook and clasp will snag the hairs at the base and cause thinning overtime. Instead, the tool you use for you interlocking should be gentle on the hair and effective at controlling surrounding hair during maintenance. 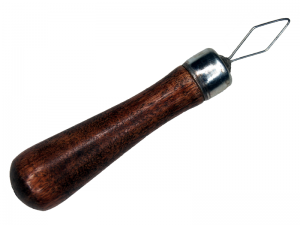 A crochet hook is the cheapest tool that can be used for interlocking locs, but it also requires the most dexterity to effectively use it. 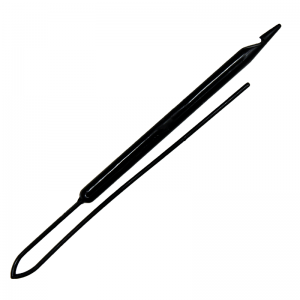 The nappylocs tool by Nappy N Happy is specially designed for interlocking locs and works well on locs of all sizes. However, because the locs need to be individually threaded through the tool for use, interlocking maintenance can take longer to complete. The interlocking ring is a nice combination of the easy to hold latch hook handle and the conceptual design of the nappylocs tool. The interlocking ring works well for larger locs with lots of nu growth. The Sisterlocks™ tool is only available to trained Sisterlocks™ Consultants and people with Sisterlocks™ that have taken the self-retightening course, which makes this the most expensive tool for interlocking. 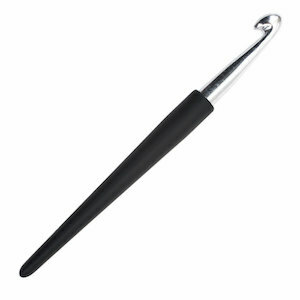 But this is also one of the most efficient tools for maintaining micro to small locs. 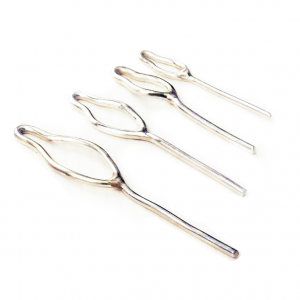 The dual interlocking tool essentially combines the tools for interlocking microlocs and large locs into one which makes it the most cost-effective and efficient tool for interlocking locs of all sizes. 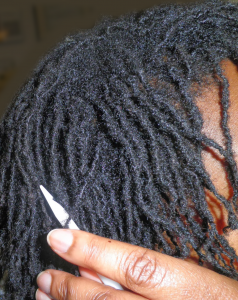 Using the proper tools for interlocking will not only save you time, but also help to ensure your locs remain healthy. 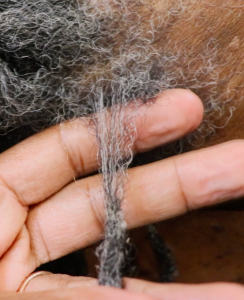 For more information and training on interlocking techniques for locs, enroll in the Interlocking Fundamentals™ workshop via NuGrowth Academy. What tool do you use for interlocking? Hi, thank you so much for this information. Question: what’s the best tool for self retis using interlocking method. I have sisterlocks. That really depends on you and your dexterity. Many people have to try a few tools before they find which one works best for their comfort and skill.